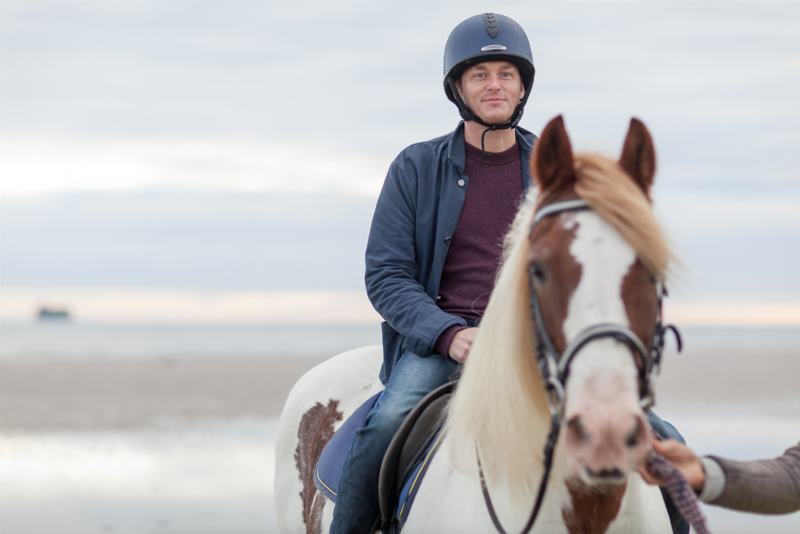 As we made our stately progress across Appley beach, the morning sun just peeping above the horizon, distant recollections of childhood horse-riding stirred muscle memory deep within and everything started to come together. Any of the trepidation we felt as our steeds were off-loaded from Island Riding’s horsebox soon vanished as we put our feet in the stirrups and swung up into the saddle. This was a proper family experience. Set up by Louise and Paul Buckner, the £2.5m Island Riding Centre occupies an impressive new site only 10 minutes from the Fishbourne ferry, almost equidistant between Newport and Ryde. Tucked away among the rolling hills and winding lanes that criss-cross the island, the centre consists of smart accommodation, stabling and — soon — an indoor riding arena, a restaurant, two shops and a dedicated riders café. Add the expert guidance by the centre’s managers, Tian Hughes and Amy Hose, plus a full stable of characterful horses and ponies, and it’s an impressive package. One, incidentally, that is also open for general riding lessons, making this a year-round destination. For three decades, the Island’s main riding centre was Brickfields, just outside Ryde. 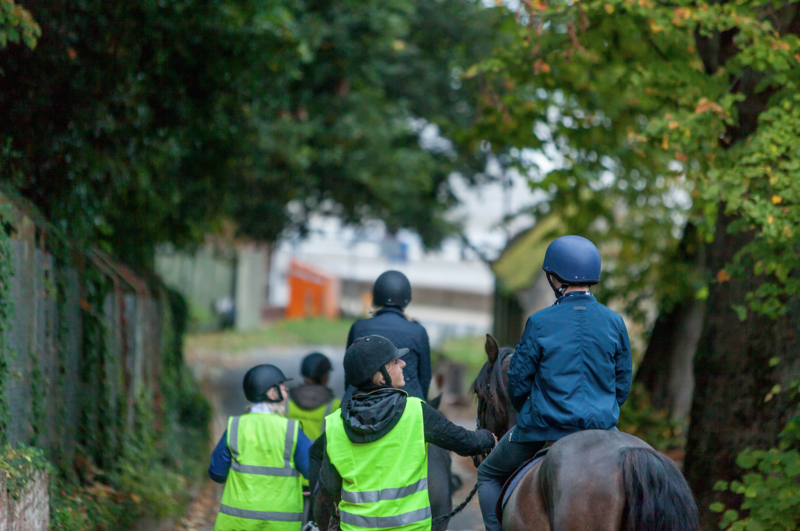 After it closed in 2013, the door was open for Island Riding to offer an alternative, which combines accommodation, training and outdoor activities to make an all-encompassing riding holiday experience. A sustainable approach is at the core of the Buckners’ development. When the indoor school is completed, it will boast 130 solar panels for indoor and outdoor lighting, with a further 77 solar panels for the accommodation. There’s also rainwater harvesting, which will provide all the horses with drinking and wash- down water, and for the toilets and washing machines in the accommodation block. The centre also has a bespoke treatment plant to recycle waste water back into the local water course, not to mention charging points in the car park. Our family of four stayed in one of the seven new holiday units at The Gallops, all named after famous horses. We had Marengo, named after Napoleon’s horse, a well-appointed three-bedroom holiday cottage with a vast master bedroom, open-plan kitchen, dining space and far-reaching country views. There are dedicated accessible units, too, and most of the seven have their own private gardens and patios. Having an aunt who owns horses of various shapes, sizes and behavioural quirks, our children, aged nine and 12, were at least familiar with the different ends of a horse. My wife and I can also walk through a field full of loose horses with a certain amount of confidence. But when it came to riding the beasts, all four of us had very little experience to rely on. Despite this, the children took the reins with aplomb, helped and guided at every stage by Hose, Hughes and their team, while the horses played their part to perfection, wading through the gentle surf and providing a wonderfully elevated vantage point. With the fiery sun glowing on the horizon beyond Seaview and the huge car carriers seemingly an arm’s stretch away as they steamed down the Solent, our early morning saunter (with the occasional light trot) gave us a whole new perspective on the Island.